With one of the most distinctive and recognizable voices in Hollywood, actor Morgan Freeman is no stranger to the big screen and Hollywood success. Morgan Freeman is your Connector of the Day. Born in 1937 in Memphis Tennessee, Freeman had his acting debut at the young age of only nine-years-old, playing the lead in his school play. From there, his acting experience only grew. At the age of 12, Freeman won a statewide drama competition and even hosted his very own radio show from his local high school. After performing in a number of other school plays, Freeman was offered a partial drama scholarship from Jackson State University, but ultimately turned it down to take a job as a mechanic with the U.S. Air Force. Although Freeman had a brief absence from the acting world, he quickly returned and ultimately made his off-Broadway debut in 1967 and his Broadway debut in 1968. During the 1970's and 1980's, Freeman acted in a number of films and television shows, but it wasn't until his role in "Driving Miss Daisy" that he became a bona fide Hollywood celebrity. Freeman went on to have leading roles in some of America's most memorable films including "Shawshank Redemption," "Seven," "Bruce Almighty," and even narrated one of the most successful documentaries of all time - "March of the Penguins." 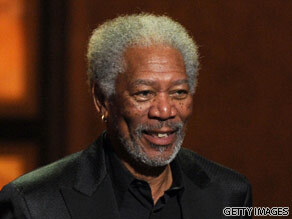 In 2004, Freeman won an Academy Award for his supporting role in "Million Dollar Baby." Today, Freeman is working with the Science Channel on a new show called "Through the Wormhole" which is a new series on outer space.